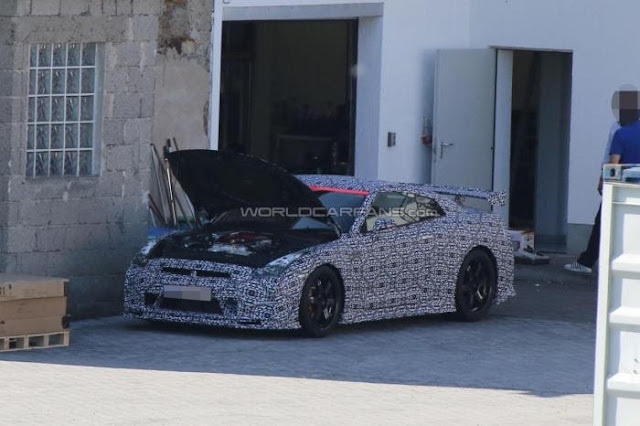 Home > nurburgring > NISMO Nissan GT-R 7:10 at Nurburgring? GT-R Otaku is reporting some information on the 2015 NISMO version of the Nissan R35 GT-R. Here is what they have to say. 3.Nismo will come in three, or less, different specifications just like R34′s S-tune, R-tune and Z-tune. Michael Krumm is a long time Nissan JGTC/Super GT driver. It is interesting to hear about the three different versions. Probably based on the price and amount about of carbon fiber you are buying.